Farmers and ranchers work to provide the food on our plates. They provide billions of dollars of revenue to our County’s economy. They steward the land and are careful to protect its precious resources. We need them to survive. Our family farmers and ranchers helped to build this County – with hard work, dedication and knowledge passed down for generations. • Water and Drought: In 2015, the state’s drought took more than 540,000 acres of farmland out of production. The lack of rainfall in the County is a constant struggle. • Invasive Pests: Ventura County farmers and ranchers engage in constant battles against cropdestroying pests and pathogens that could cripple their production and livelihood. 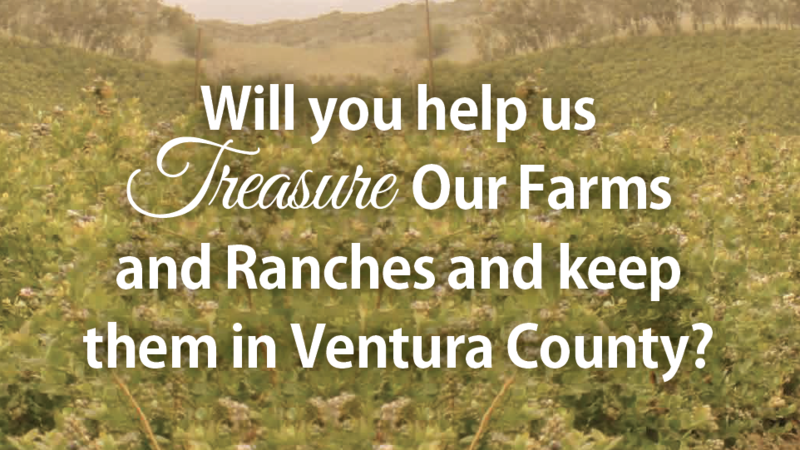 • Lack of a Farm Workforce: Every year there are many crops that go unpicked because of the shortage of available workers here in Ventura County. • International Competition: Local farmers have constant pressure and competition from other countries who grow similar crops that are imported into the United States.